Discover Reid School. Our motto: 'Quality, Innovative, and Caring.' Reid School provides instruction that guarantees success. Every child learns. A short introduction video about Reid School, featuring Dr. Ethna R. Reid, Principal. 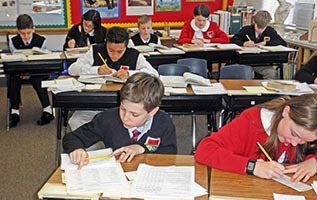 Our Salt Lake City private school is AdvancED accredited. Contact Reid School to enroll today! Read what Reid School students and their parents have to say about their experiences with Reid School. Reid School began in 1987 and focuses on providing customized instruction for every student. Not only do we have higher academic scores, but our students have a lot of fun! Reid School's mission is to ensure students' academic success by: 1) teaching students how to learn, 2) teaching new content daily, 3) providing a safe place for learning, 4) providing consistency, and 5) requiring commitment and responsibility from both teachers and students. Reid School is a child-centered school. Each student is placed at his/her appropriate instructional level in reading, mathematics, and in the sciences which allows each student to move along a continuum of tasks as quickly as he/she masters the material. Dr. Ethna R. Reid is founder and director of ECRI and Reid School. She has been an elementary and secondary teacher, a principal, and a supervisor in public schools. She has authored many texts and conducts graduate courses and professional development in-service seminars for teachers. Dr. Mervin R. Reid serves as president of Reid School Inc. Teachers at Reid School have teaching certificates; are qualified; have received in-service to use ECRI, KRS, and ECLE; and recognize the importance of communicating and collaborating with parents. Salt Lake City's private school, Reid School, offers education for preschoolers, elementary students, and middle school students. Learn more about our grade levels here! Salt Lake City's private preschool, Reid School, offers an Early Preschool or Parent-and-Infant Program and a Preschool Program. At Reid School, our Salt Lake City private school offers a fun and effective learning environment for elementary students grades K through Five. 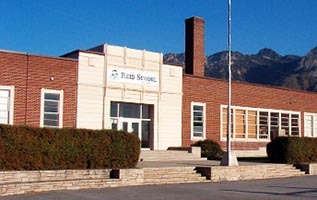 Reid School offers private instruction for middle school students in Utah. Contact the Salt Lake City private school today to enroll! Reid School, in cooperation with the University of Utah's Division of Continuing Education, offers a series of classes and tutoring sessions for students of all ages. These classes are offered after school during the regular 9-month school year. Reid School, in cooperation with the University of Utah's Division of Continuing Education, offers a series of classes and tutoring sessions for students of all ages. These classes are offered during the day in the summer at Reid School. 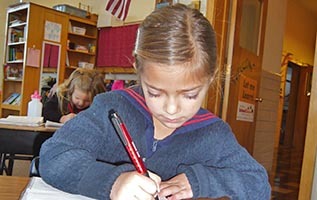 Reid School offers services from Preschool through Grade 9 at reasonable rates. Reid School contracts with a catering company to provide school lunches. Fees should be paid directly to the catering company. Students who desire a platinum–plus education which guarantees future high school and college success register at Reid School, grades Preschool through Grade Nine. To enroll your child at Reid School please complete this online registration form, or complete the printed PDF registratino form and bring it with you to Reid School's front office. Register for summer and after-school classes at Reid School, in cooperation with the University of Utah's Division of Continuing Education. Reid School is the first private school to be totally dedicated to the use of Exemplary Center for Reading Instruction (ECRI) instructional methods. These methods have been validated by a panel of evaluators at the U.S. Department of Education as being significantly superior to other reading and language arts programs throughout the United States. In both reading/English and mathematics classes at Reid School, students are placed at their instructional levels. Students move ahead in the curriculum as rapidly as they demonstrate 100% mastery. Instruction in Social Studies and the Sciences begins with hands-on learning. Field trip experiences, resource persons, and laboratory activities are critical elements in providing concrete and vicarious learning experiences for the students. 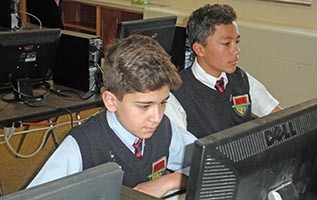 Reid School students spend alternating quarters in Computer Lab 1 where they are taught keyboarding, computer usage, reading, and spelling skills (KRS) and in Computer Lab 2 where they learn to use the computer to augment/enhance their classroom studies. Music, literature, drama, foreign language, and the arts are part of Reid School's daily life. We believe that a student's creative ability is nurtured and developed as specialists work with them daily in classes and with special events. Learning doesn't happen only in the classroom at Reid School. Frequent field trips provide hands-on learning. The use of field experiences and resource persons who come into the classroom to add 'spice' to the lessons increase students' interest and knowledge in the subject they are currently studying. Students select elective classes and participate in various sports, clubs, special programs, and many extra-curricular activities throughout the year, which are all part of students' daily life. Reid School students' service to other students, parents, and staff, and staff's and parents' service to students create a valued, shared responsibility. Call 801-466-4214 or 801-486-5083 to setup a personal tour of Reid School in Salt Lake City, Utah. Schedule of holidays and major events of the school year including reporting periods. The Reid Report is brought to you by the journalism class while the Reid School News is published by the front office. View each full color newspaper in the PDF format. 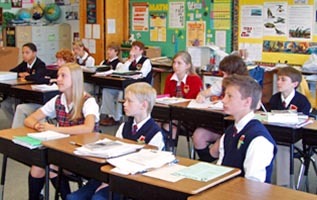 Contact Information for Reid School a private school in Salt Lake City, Utah offering instruction from Pre-K through Grade 9. Also an online contract form. A simple view of all public web pages, except those of individual blog posts, on www.reidschool.com including page descriptions. To be considered for a teaching position at Reid School, please complete the online application. © April 21, 2019; 1:09am MDT – All Rights Reserved.